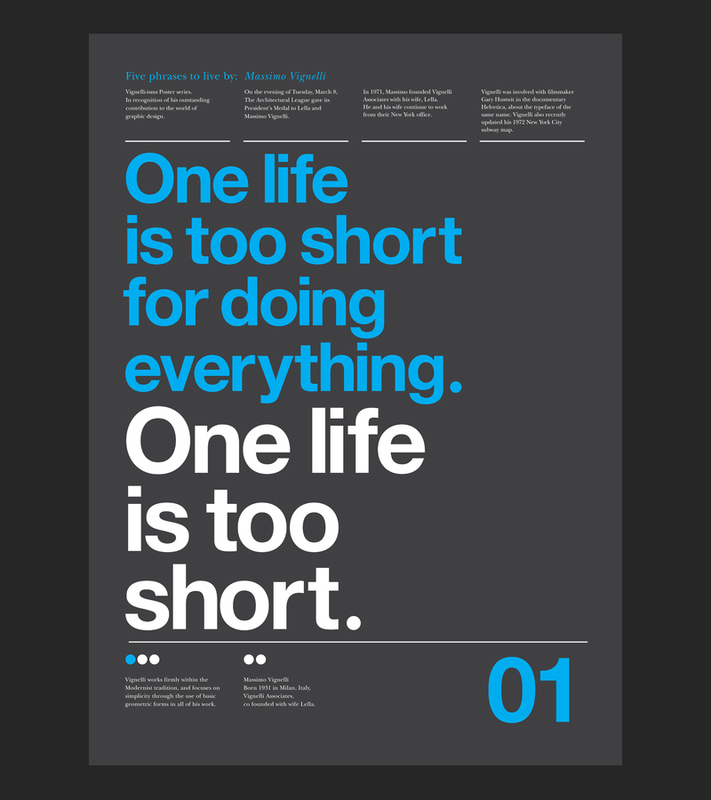 Gorgeous set of posters, entitled: Vignelli Forever, by Anthony Neil Dart using Helvetica, of course!. 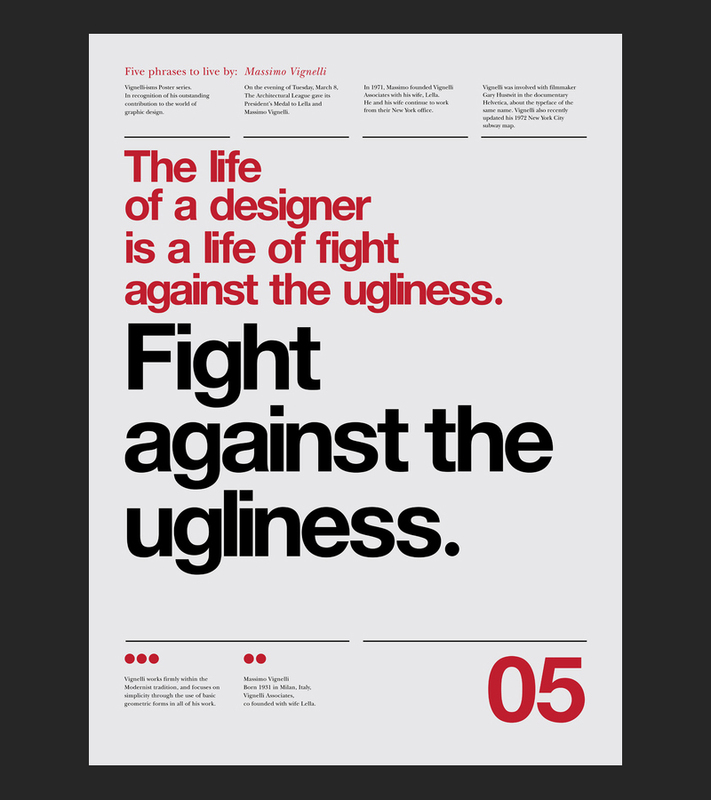 Anthony has designed one main poster summing up five well-known phrases, and quotes, by Massimo Vignelli, then a further five posters each displaying one of the five phrases. These have been floating around for a few years now, but really do like them and felt another airing would be worthwhile. Decided to keep the jpg files as high-resolution as possible, rather than downsampling, to keep the pretty small fine-print as legible as possible. Let’s see how well MaxCDN, CloudFlare, W3 Cache and BJ Easy Load work together to reduce this pages download speed/size! I’d really like to get my hands on a set of these, they look so smart! 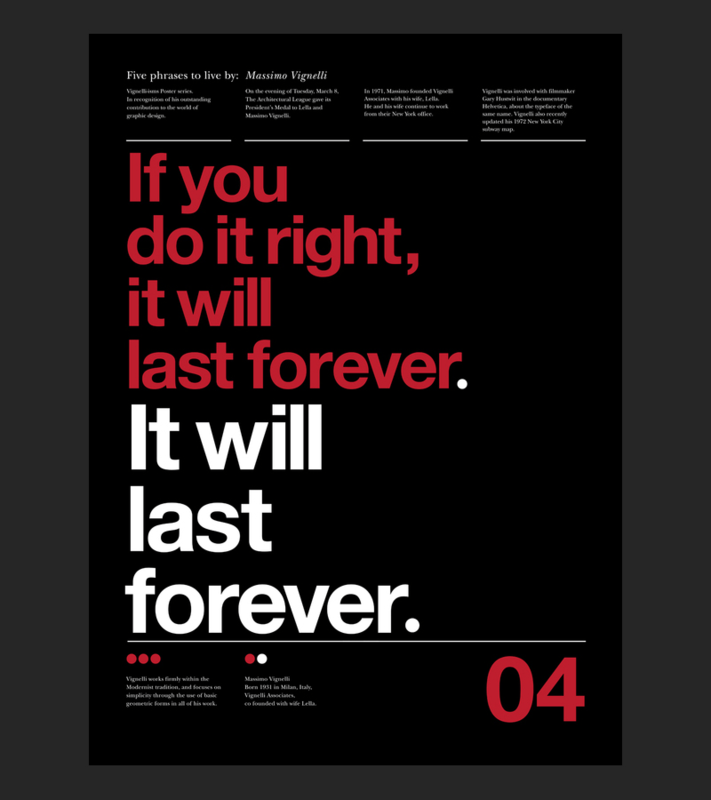 The Vignelli Forever posters were originally found via AdWeek, in their Talent Gallery. 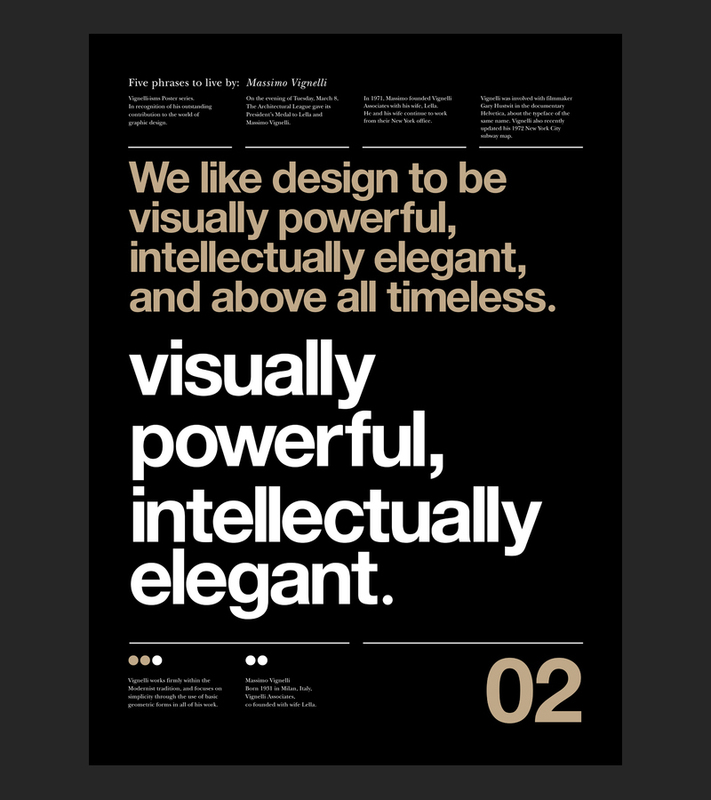 We like design to be visually powerful, intellectually elegant and above all timeless. 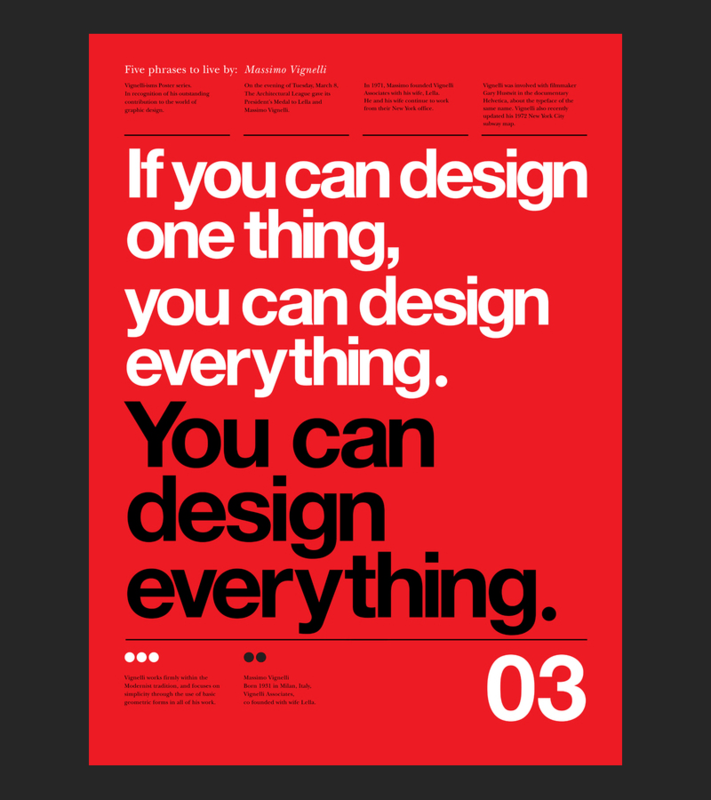 If you can design one thing, then you can design everything.